Robert Costanza (b.1950) is an ecological economist, Senior Research Fellow at the Stockholm Resilience Centre, and Professor of Public Policy at the Australian National University Crawford School of Public Policy. Previous faculty positions were at Portland State University, University of Vermont (founding director, Gund Institute for Ecological Economics), and the University of Maryland. He founded the International Society for Ecological Economics in 1989, and was founding editor of the ISEE journal, Ecological Economics until 2002. He is co-editor of Reviews in Ecological Economics, founding co-editor in 2010 of Solutions, a hybrid journal-magazine, and co-chair of Ecosystem Services Partnership. 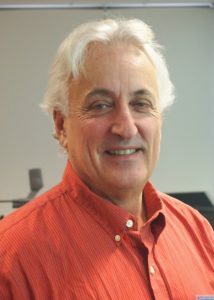 Costanza is author or co-author of some 20 books and 250 articles, including Ecological Economics: The Science and Management of Sustainability (1991), “The Value of the World’s Ecosystem Services and Natural Capital” (Nature, 1997), “Planetary Boundaries: Exploring the Safe Operating Space for Humanity” (Ecology and Society, 2009), “Changes in the Global Value of Ecosystem Services” (Global Environmental Change, 2014), Creating a Sustainable and Desirable Future: Insights from 45 Global Thought Leaders (2014), and An Introduction to Ecological Economics (2nd edition, 2015, with six others). For an extensive listing of Costanza’s many publications and awards, see www.robertcostanza.com.